Home > Labels,Tags & Nameplates > Metal & Plastic Tags > Brass Tags > Brass jack chain. Items per quantity: Per length. Brass jack chain. 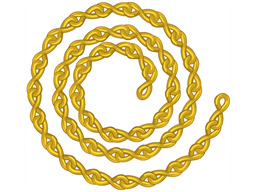 25 link chain, 305mm length. Anti rust and corrosive resistant. Valve tag fixing products. Brass jack chain.